Shipwrights and apprentices from the Chesapeake Bay Maritime Museum recently traveled to Appleton, Maine, to pick up new sails for Edna Lockwood. The sails were created by Traditional Rigging Co., and will go on Edna ahead of her October re-launch. 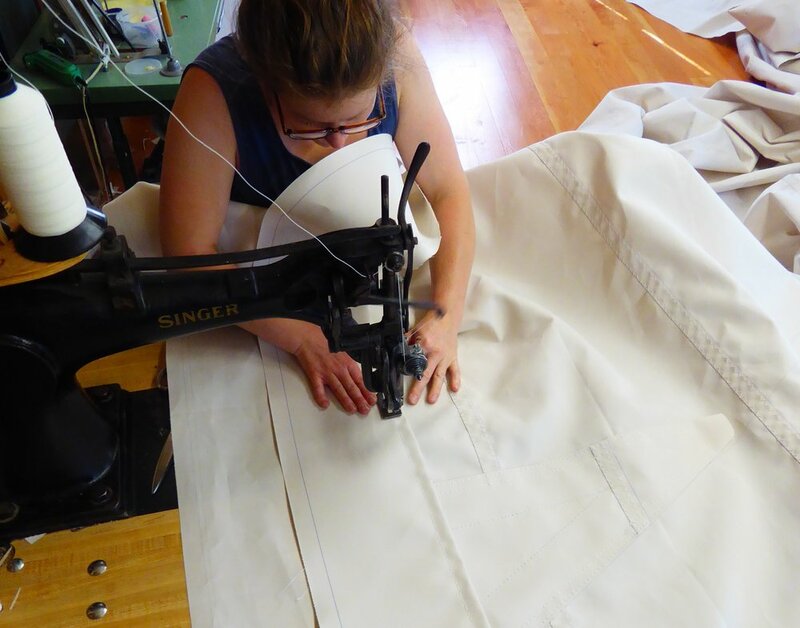 Flip through the photos below to see some of the sail-making process. 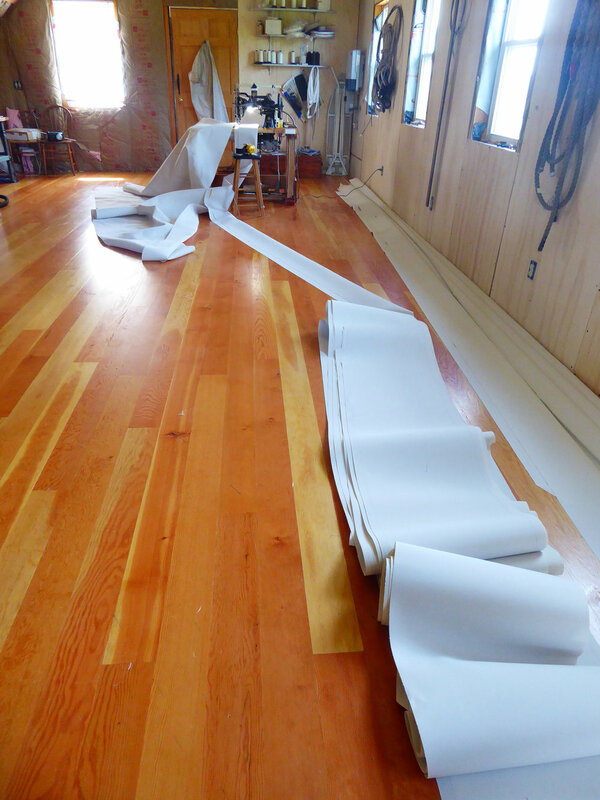 "We cut out the sails on the floor the way it was done in 1889. The sails are cut in two parts because of the size of our loft. This is the forward section of the fore sail." The next step, hours of seaming! All 3 sails finished and ready to join the ship. Close-ups of hand sewn foot grommets by Traditional Rigging Co., the maker of Edna Lockwood's new sails. The corners of her sails are finished with a cringle. The next step is to sew extra layers in the corners and at the reef clews and tacks. Close-ups of the hand sewn reef clew by Traditional Rigging Co., the maker of Edna Lockwood's new sails. Close-ups of hand sewn reef grommets by Traditional Rigging Co., the maker of Edna Lockwood's new sails. Next we reinforce the edge of the sail by hand sewing rope to all of the edges. Next we sew rings by hand in the luff, foot and reefs. The last step for the machine work is finishing the edges. This method of finishing the edge is called tabling. Photos courtesy of Traditional Rigging Co.